Open up a new world and see what Accra-CADD can do for your company. Check out these online Videos and see just how easy you can create Professional drawings. To check out a full Product description and additional information. 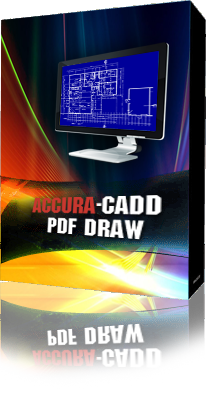 Accura-CADD PDF Draw is an accurate Computer-Aided Design & Drafting software that allows anyone to create or modify (PDF) Portable Document Format's that can be used to present and exchange documents reliably, independent of software, hardware, or operating systems. If you Draw, Design, or Draft you need Accura-CADD. As-Built Drawings, to show finished layouts or changes to the original drawings. Introduce Conduit Runs, Circuitry, Lighting, Ceiling Grid, Devices, Panel Schedules, Seismic or Grounding Details, Transformer Pad’s, or Change Door Swings to a new or existing PDF. Produce scaled room lay-outs so you know everything fits the first time. Import real imagines into your drawings. Produce drawings for city permits. If you can imagine it you can produce it with Accra-CADD PDF Draw by Best Bid. PDF Draw uses standard AutoCAD drawing tools, without the complications and frustration of other software. PDF Draw was created for all trades, Builders, Electricians, Plumbers, Fire Alarm & Structured Cable, HVAC or Mechanical contractors. Unlike other drawing aids Accra-CADD draws directly on your PDF files. "Modify or Create your world today!"